Based on a NATO requirement, a maritime patrol aircraft was developed in Europe, and known at the Atlantic, the prototype flew in 1961. The type was bought by France, Germany, The Netherlands and also later by other countries like Pakistan. The type has a 'double-bubble' shape and the outboard wings some dihedral. Systems included a retractable CSF radar, MAD boom, and ECM pod on top of the vertical fin. Production was done by a consortium, eg. also Fokker Aircraft company in The Netherlands which built the wing mid sections. The first aircraft were delivered in 1965 to France and Germany, with Netherlands and Italy getting theirs soon afterward. Some were later sold to Pakistan. The production line was closed in 1973 as the nearly 90 aircraft had been delivered. Operationally speaking they met the needs, but there were corrosion problems. 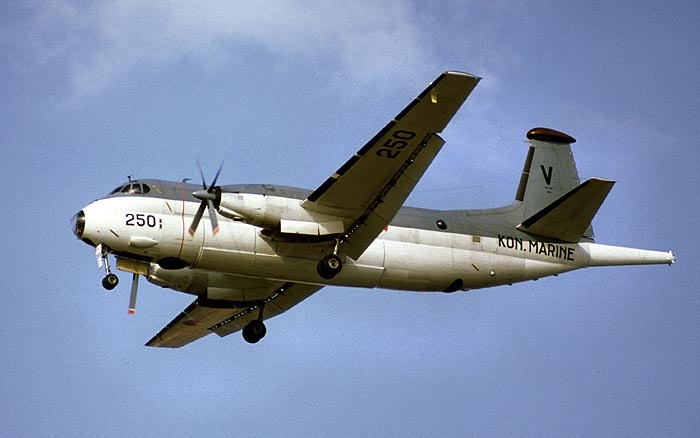 The last Dutch Atlantic was put out of service in 1985, being succeeded by the Lockheed P-3C Orion (this type was also an initial candidate for the MPA in the early sixties...). The remaining planes were sold to France. The French later upgraded most of their remaining airframes to Atlantic 2 starting in 1988, but by 1997, this modification had been completed. All Dutch Atlantics BR1150 (SP-13A) served at 321 squadron of the Dutch Naval Flying Service (MLD: Marine Luchtvaart Dienst). 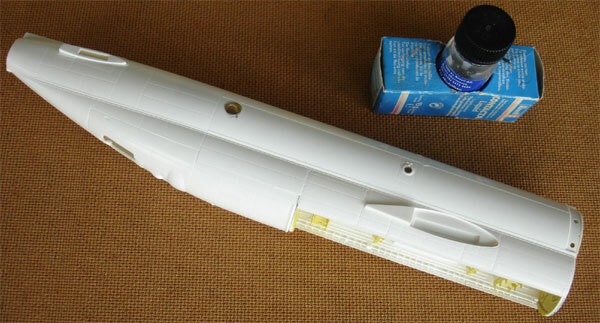 The Revell kit # 04384-0389 was issued in 2003 and has many delicate parts. The kit is far superior to the MACH2 offering which was highly inaccurate in dimensions and looks and also had many crude parts. So, the Revell kit is very welcome indeed. Dimensionally and looking how it looks, this Revell kit is very good indeed. No main faults can be found at all, and build straight from the box, you get a very good Atlantic model. Still, some minor improvements can be done, as will be indicated on these webpages. 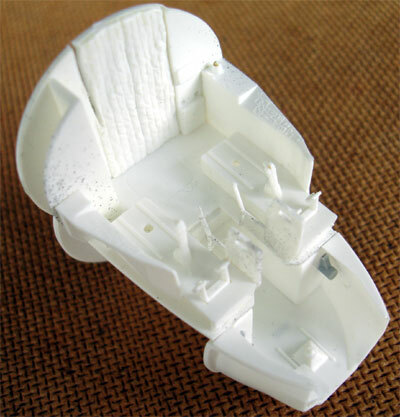 In 10 sprues you get about 230 parts in white plastic, a good cockpit glass canopy and nose. Some sink marks are present, needing minor filling. Not all parts are needed, but depend on the version. 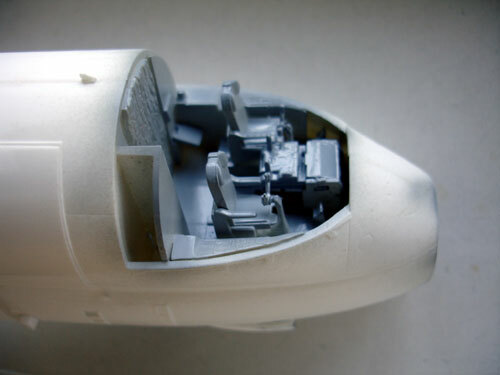 The kit has finely engraved panel lines but the fuselage is in separate sections of forward-mid- and aft stations. Also a full bomb bay is provided and a choice of weaponry of depth charges and torpedo's, a nice cockpit with instruments and seats. You will need to add sufficient weight in the nose to prevent "tail sitting". The "antenna" wires are better done with fine fishing line after overall finishing and painting. The undercarriage is also very nicely done, but needs carefull assembly. A rear open entry hatch is also an option, but you will need to add some bulkheads then inside to avoid an empty look inside. Decals for three versions are provided: a Dutch Navy Valkenburg plane, a French 24 Flotilles Aeronavale and German Navy MFG5 plane. The decals have also many airframe stencils and detail markings. Instructions are typical for Revell with no lesss than 78 steps ! - the blue in the Dutch roundels are a bit too light blue. - the french insignia "anchors" should be black, not blue! 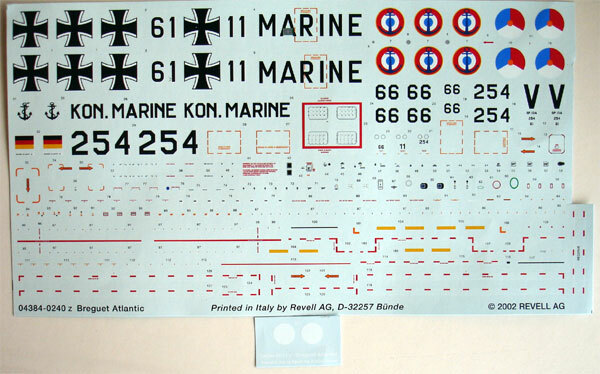 Colors of Revell are only indicated in the instructions (see more later on at "painting"). 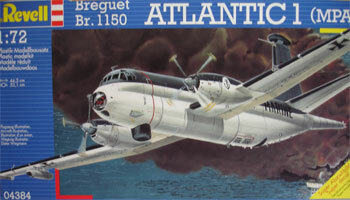 A Dutch Royal Navy Flying Service (MLD) Atlantic will be made out of this Revell kit, using many of the kit decals. Dutch Decal set 72025 will also be used in some areas to improve further the good kit decals. Assembly starts with the weapons bay, the parts are very delicated. 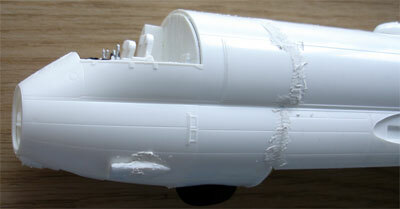 The fuselage is made up by separate sections, but I only needed minimal filler and sanding. The ice protection plates on the fuselage sides are nice touches. 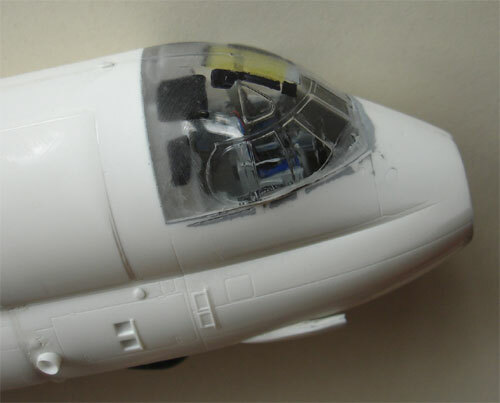 The inner fuselage was painted dark grey near the windows. 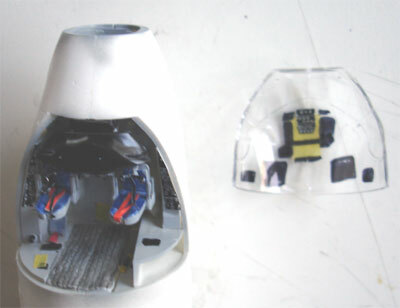 I also drilled open the APU exhaust pipe aft of the right cockpit. 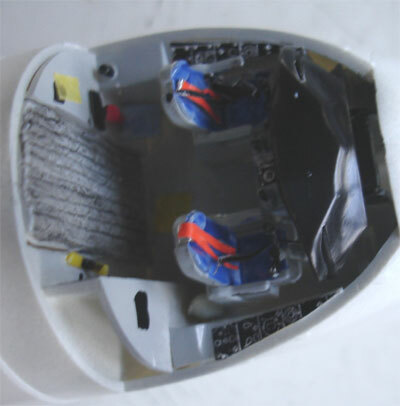 The cockpit area is well done with many parts and good seats. The floor was painted blue-grey, some parts dark grey and black-grey and the seat cushions bright blue with red/orange straps. The glass part was fitted and some filling with putty was needed. Add nose weight (70 grams !) and you will trouble finding space for it. NOTE: The wings can be attached later on using the glueing lips and although I did not, I would recommend making a wing spar to get extra strength. Later on I found out that in fact it is better to make a spar. 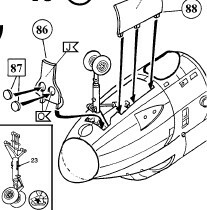 The radar shown in step 14-15 is retractable, a nice touch. Do not fix in position until later to ease painting. 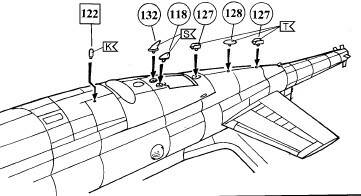 In step 21- 22: some ejector pin marks are on the innner tail plane halves, sand these off. 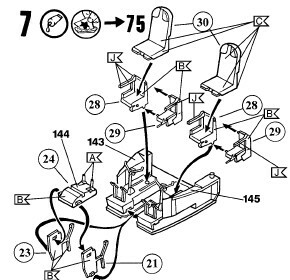 In step 26 it is suggested to drill some holes, but this is not needed for the Dutch Atlantic. The undercarriages and their bays are very good, even the tail pipes are shown at the ceilings. The bays (including the weapons bay) were painted chromate yellow / beige "chamois", with the pipes aluminium/black. The wheel legs, wheel hubs and support rods are aluminium. When the plane is on the ground, the forward pair of main gear doors (parts 105/106) are normaly closed. The gear was not fitted yet however, to be done later on. 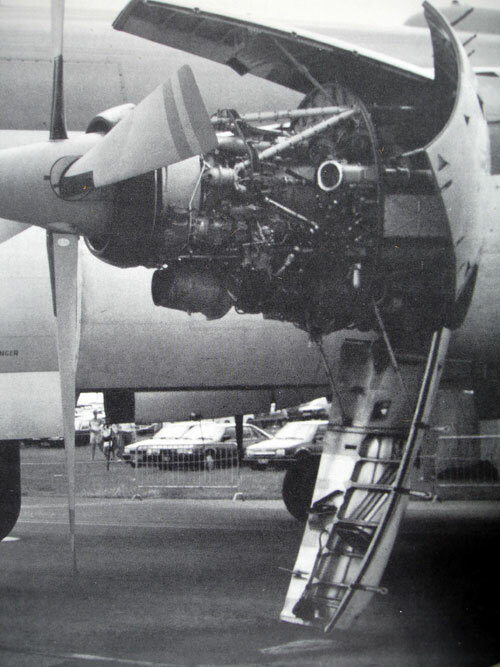 The engine was made from scratch from bits and pieces from the spares box using the picture of the Rolls Royce Tyne engine. The engine area further detailled. 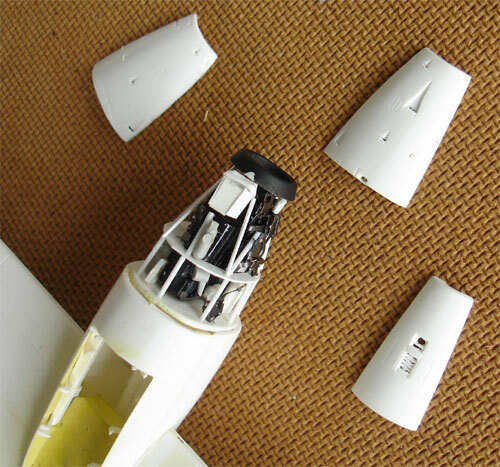 TIP: At step 33, it was decided NOT to fit the wings and stabilizers yet, as masking of particularly the black de-icing boots would be much easier when done with these parts still separate. In step 57 you can select an open or closed weapons bay. When open, you need to cut out carefully a center section in each door. Skip steps 64, 65 and 66 completely for the Dutch Atlantic. Antenna parts #126 and 146 are needed for a Dutch Atlantic. 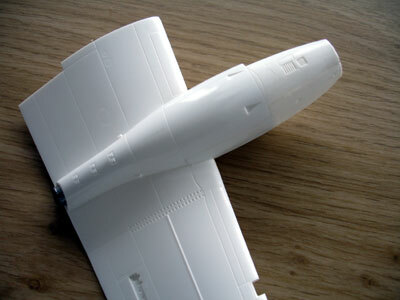 In step 72 and 73 use indeed the rounded wing tips for a Dutch Atlantic.